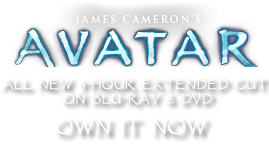 X-Bow | Pandorapedia: The Official Guide to Pandora | Own AVATAR on Blu-ray & DVD Now! The bow has two crossed supports and can be stressed for power to a great degree. This extra power is needed to take down large creatures, although they are said to be useless against thanators and leonopteryx. Often used from bank of banshee because of extra power provided by the bow for long-distance firing. Function Hunting, protection from attack. Size and Weight Roughly 2.5 meters high, roughly one meter wide in full extension. Roughly six kilograms.